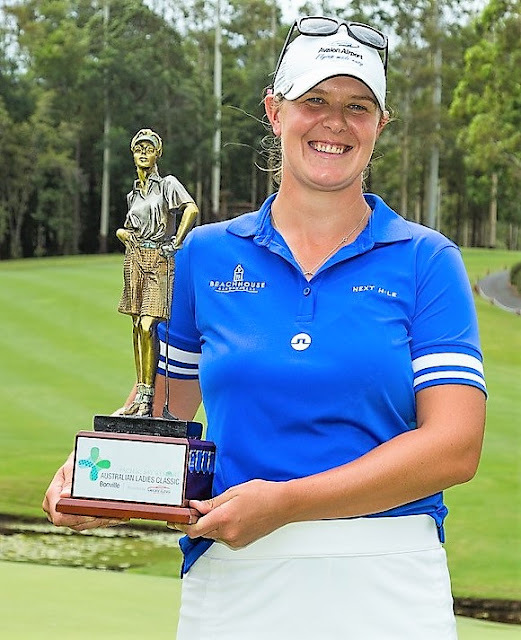 Coffs Harbour, New South Wales – February 24, 2019: Marianne Skarpnord (pictured) ended a six-year drought to claim her fourth title on the Ladies European Tour after a closely-fought battle for the Pacific Bay Resort Australian Ladies Classic – Bonville. Skarpnord fired a final round of 69 to earn a two-stroke victory on eight-under-par 280 ahead of Australian Hannah Green and Nuria Iturrios of Spain after four rounds at Bonville Golf Resort. “Ten years ago, all I wanted to do was play golf. There comes a time when you think, do I really want to do this? Do I want to put myself through all this misery and pain? Somehow I pulled through that, because a lot of times I’ve been thinking that I’ve had enough and I’m going to get a proper job and be at home. Skarpnord is now looking forward to a road trip through Sydney on her way to next week’s event, the Canberra Classic at Royal Canberra Golf Club.